YEREVAN, Armenia ‒ On March 30, the American University of Armenia’s (AUA) Masters of Teaching English as a Foreign Language (MA TEFL) program hosted Dr. Melita Kovacevic, a high-profile visitor from the University of Zagreb, Croatia, preceding the Erasmus+ mobility exchange program between the universities. 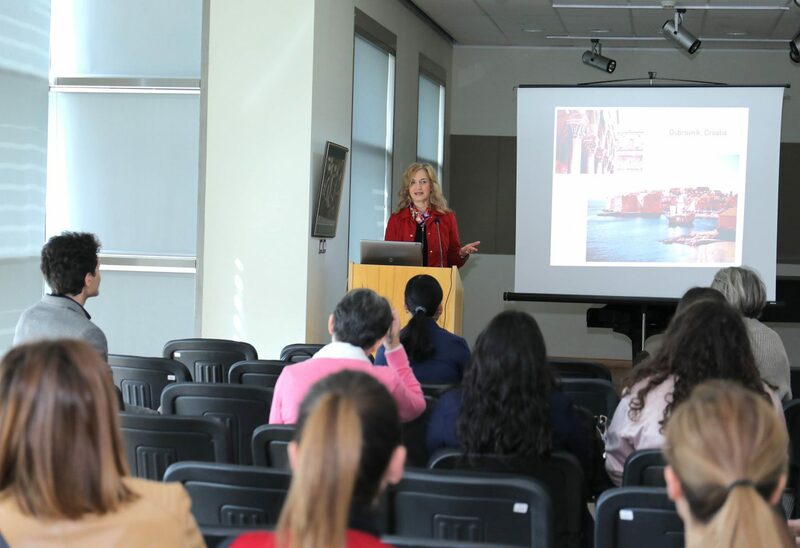 The lecture given by Dr. Kovacevic focused on the internationalization of doctoral studies from the European perspective. 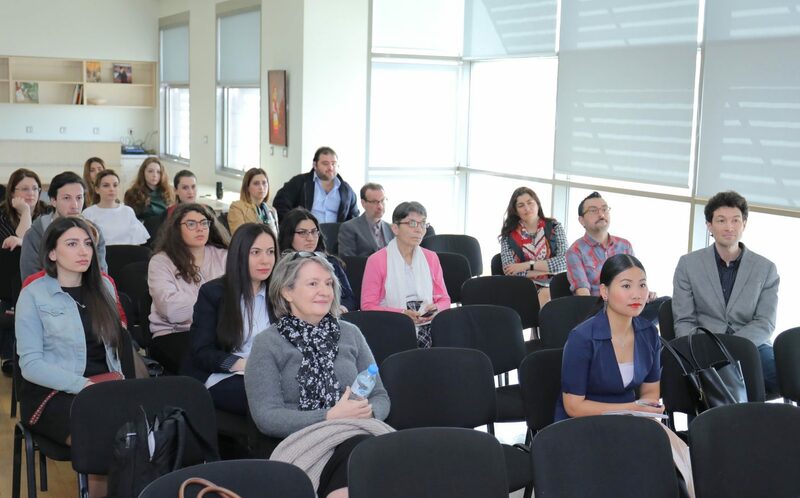 Titled “Doctoral Education: European Perspective,” the lecture covered the previous fifteen years of development in doctoral education in Europe and current issues relevant to high-quality doctoral education. Since 2005, a “quiet revolution” in doctoral education has taken place and many structural changes have been implemented in most of the European universities. 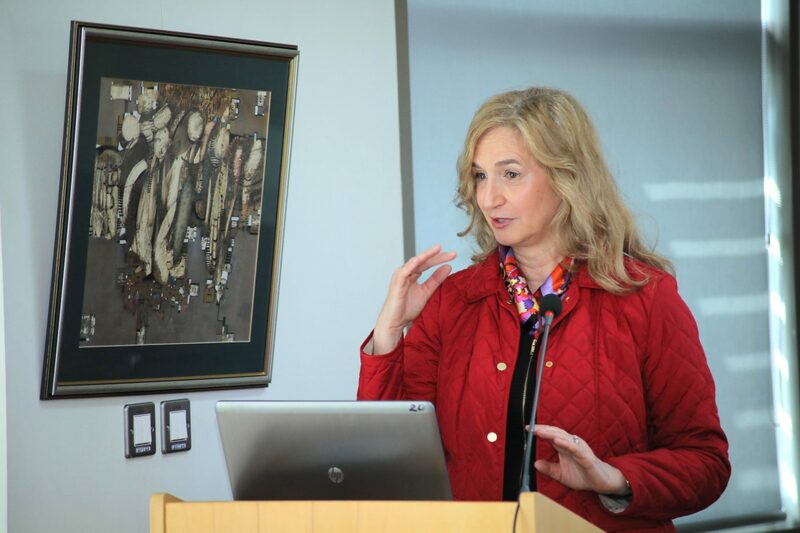 Dr. Kovacevic noted that while research remains the focus of doctoral education, the system has moved away from doctoral candidate–supervisor relationship toward a more structured approach in which the institution plays a more important role. 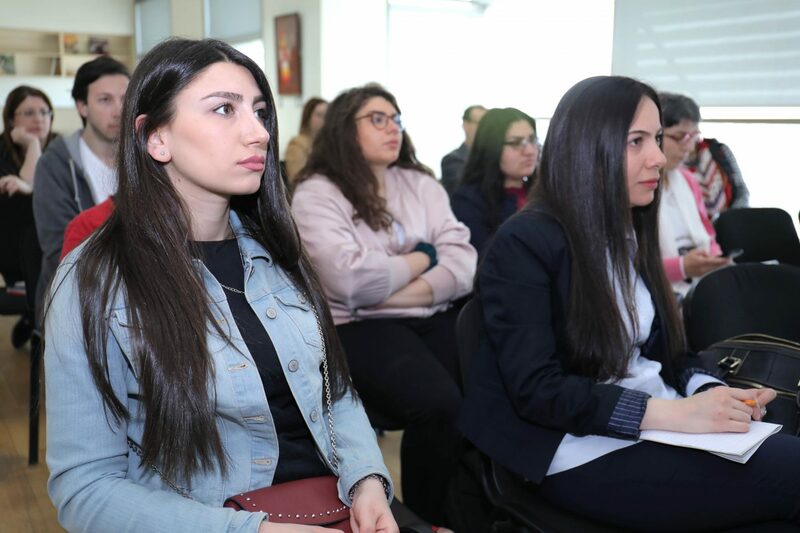 The lecture covered various aspects of doctoral education, including its structure, challenges, modern methods of research, and the global perspectives. Dr. Kovacevic, the former Vice-Rector for Research Technology at the University of Zagreb (2006-2014), is a Full Professor in the university’s Department of Speech and Language Pathology, the Faculty of Education and Rehabilitation, the head of research laboratory, and the director of the Doctoral program in Language and Cognitive Neuroscience. She has been involved in shaping the policy of higher education since 2000 as a member of a number of national and European bodies related to higher education including the European University Association Council for Doctoral Education (EUA-CDE) Steering Committee (2009-2016) and its Chair (2012-2016). Dr. Kovacevic contributes largely to the debate on doctoral education in Europe and beyond. Currently, she is the Vice-President of the Professionals in Doctoral Education (PRIDE) network, and a member of International Policy Board of the National Science Foundation of Georgia.